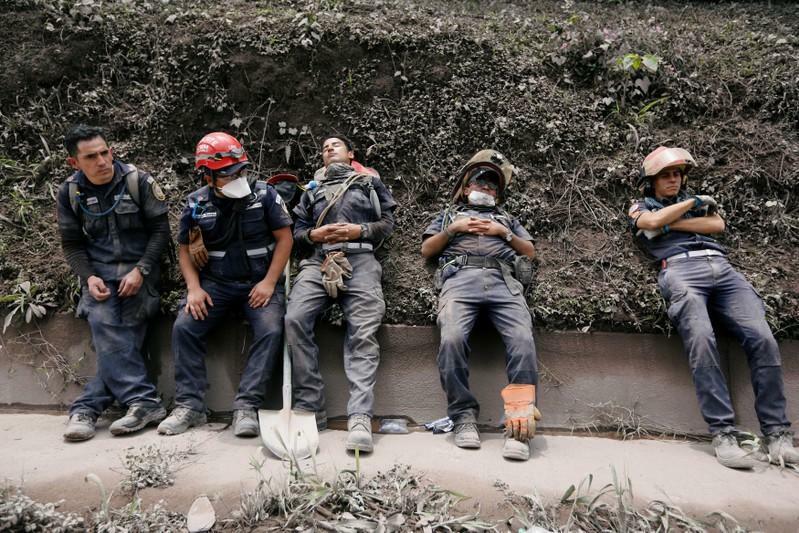 Rescue workers searched tirelessly for survivors amid a desolate grey landscape of ash and destruction on Monday, one day after Guatemala's Fuego volcano erupted near the capital. 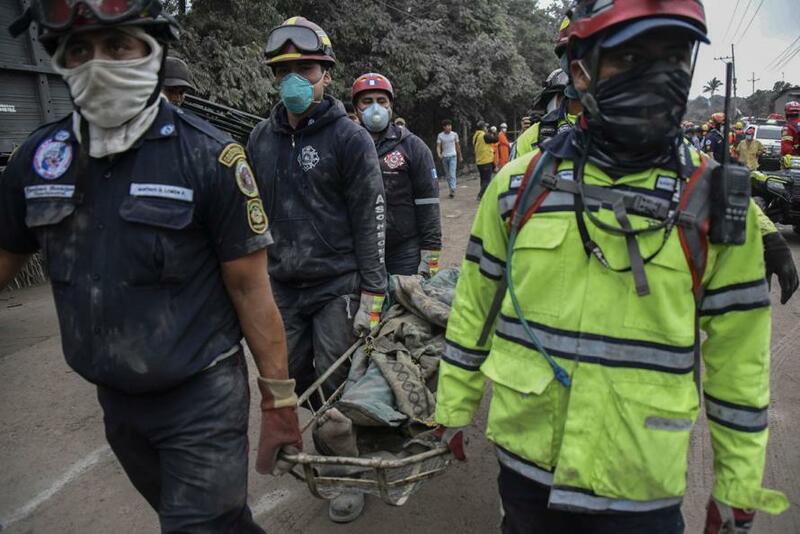 At least 65 are dead and an unknown number of people are missing, according to Guatemala's natural disaster commission, also known as Conred. 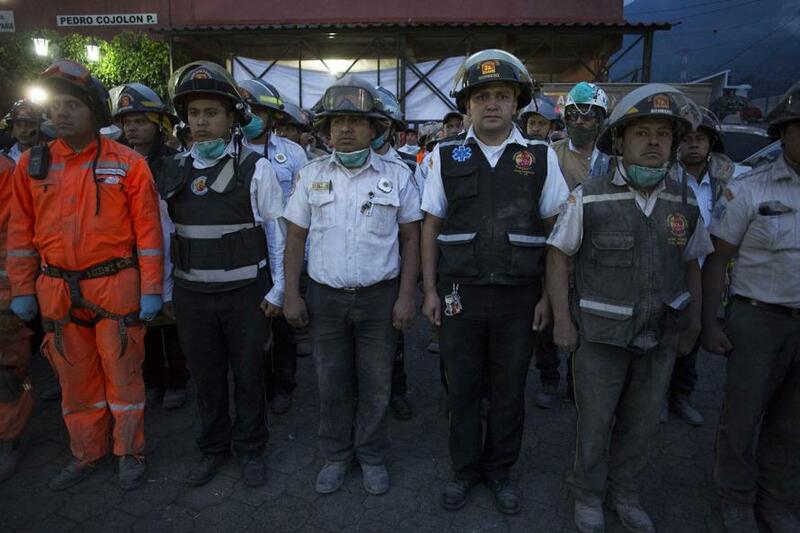 “We saw bodies totally, totally buried, like you saw in Pompeii,” said Dr. Otto Mazariegos, president of the Association of Municipal and Departmental Firefighters, who added that the death toll was expected to rise, "Probably in the hundreds." 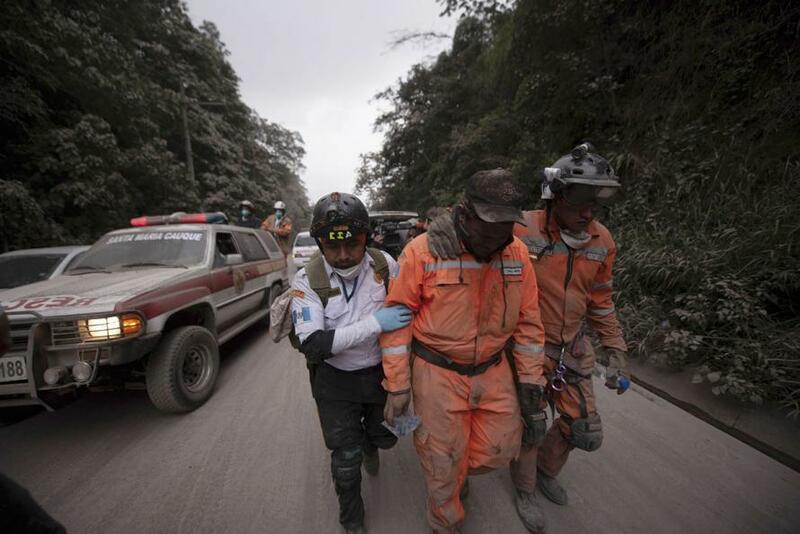 Rescue workers have been unable to reach sites on the south side of the volcano due to a lack of access. The speed of the volcano's flows took many by surprise - with some stopping by the road to watch the eruption - only to break into a sprint when they realized how fast the plumes were approaching. 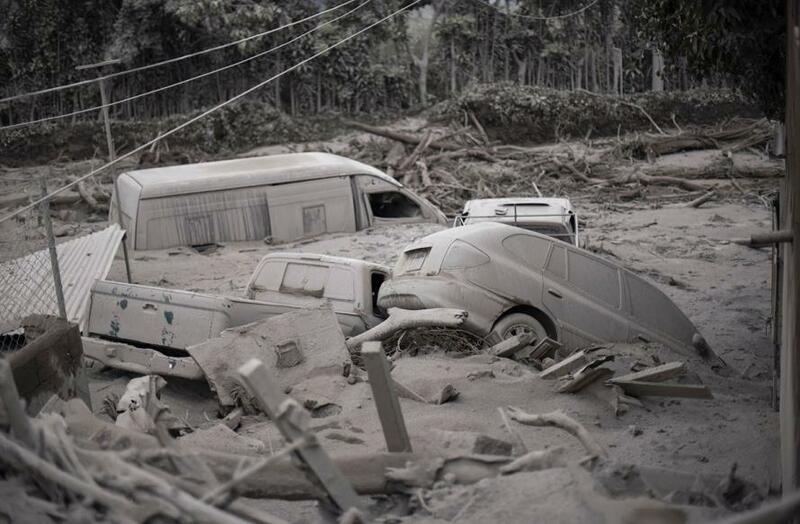 Survivors returning to the village of San Miguel los Lotes on Monday found nothing but distruction, as the village was turned to rubble by the force of the eruption. 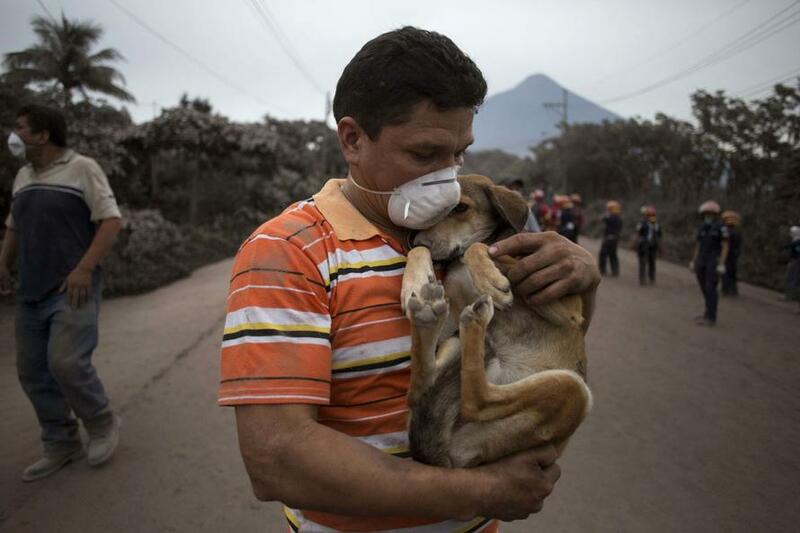 Rescue crews carried bodies tightly wrapped in dusty white sheets, while volunteer firefighters waded through knee-deep ash, only to find the charred remains of residents who were unable to flee the hot rivers of molten lava that poured down the slopes of the volcano. As the day wore on, officials were forced to suspend some rescue operations because of the fear that the volcano might erupt again. The deep ravines on the volcano’s slopes were already filled with lava, Dr. Mazariegos said, and there was no way to tell how a new flow might spread. Over 3,000 people have been evacuated, and 1,689 found space in shelters in neighboring Escuintla and Alotenango, while 46 were taken to the hospital - many with severe burns. The build-up of energy inside the volcano generated an explosion that resulted in a second, lower crater forming alongside the spewing Fuego basin. The torrent of molten lava stretched at least five miles long crushing bridges, roads and buildings in its path. The lava reached record temperatures of about 700C. The Volcano, located less than 30 miles from Guatemala City, has been erupting since 2002 according to the Global Volcanism Program. It is a stratovolcano, like Mount St. Helens, with viscous lava that allows gas pressures to build and leads to more explosive eruptions. The explosion was followed by pyroclastic flows - mixtures of hot rock and gasses that flow down the volcano's sides at great speed, where their high temperatures and "great mobility make them lethal to anything in their path." Ash billowed more than a mile above the volcano's cone, dispersing over an area of approximately 15 square miles, according to the volcanology institute. 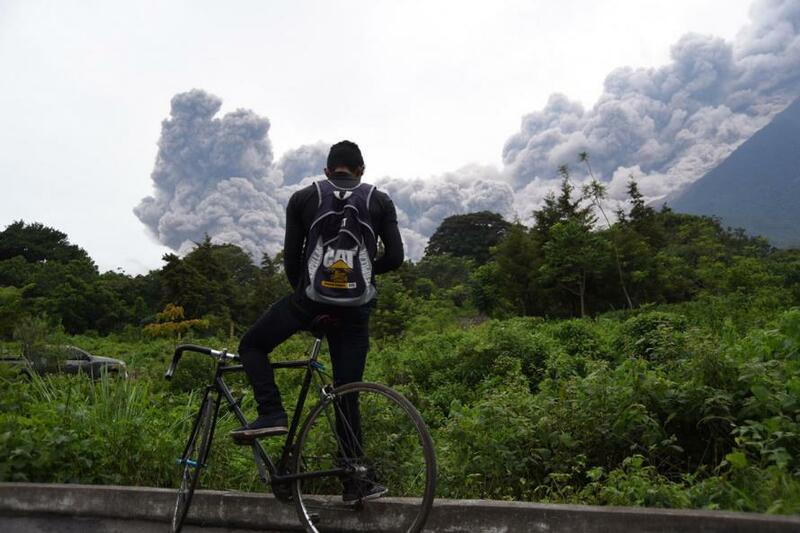 “We heard a whoosh of the volcano, a sound we hadn’t heard before, and really strong vibrations,” said science teacher Fernando Aragón, who lives close to the volcano outside the town of Alotenango. 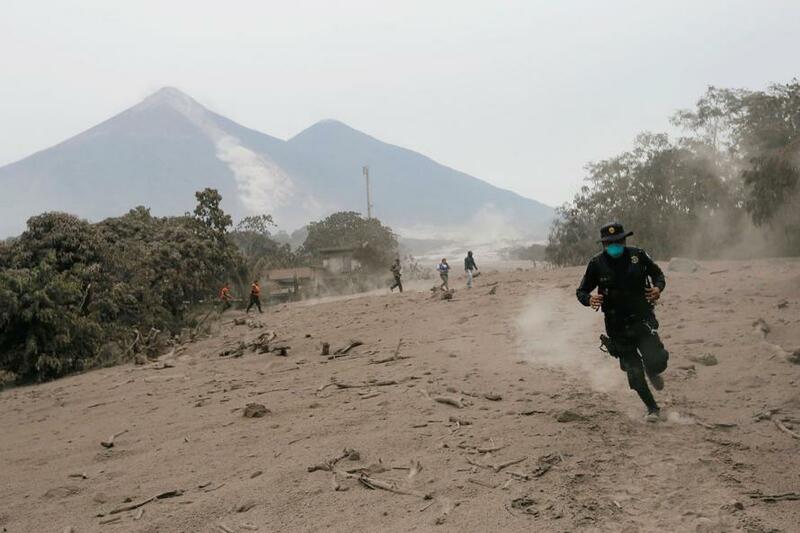 “We could see the people fleeing the eruption on the road outside and the heavy machinery and rescue teams making their way up,” Mr. Aragón added.